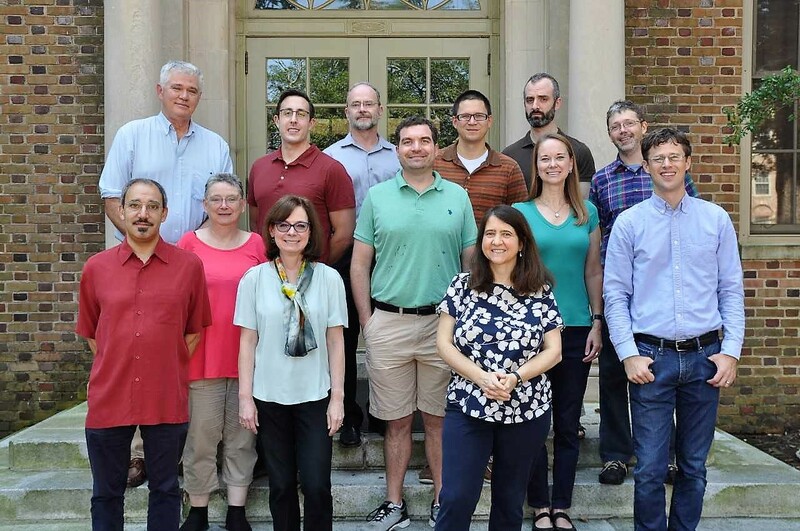 The philosophy department consists of 14 full-time faculty members, several distinguished professors emeriti, and one very friendly office manager. Our faculty members are active researchers and they are able to teach a wide variety of philosophical topics. If you are interested in finding out more about the department, please see our contact page. Use the links at the left to see more information about specific members of the department. Faculty and staff for 2018-19. Back (fourth) row: Paul Davies, Jonah Goldwater. Third row: Noah Lemos, Chris Freiman, Philip Swenson, Chad Vance. Second row: Debbie Wilson (retired office manager as of Jan. 2019), Chris Tucker, Laura Ekstrom. Front row: Josh Gert, Elizabeth Radcliffe, Victoria Costa, Matt Haug. Not pictured: Tim Costelloe, Aaron Griffith.